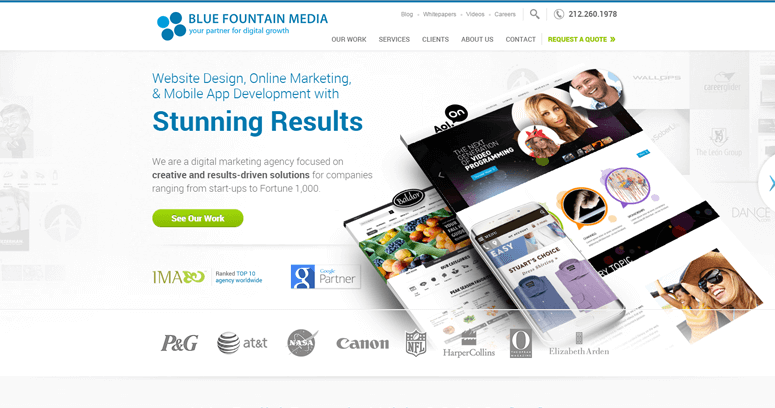 "Best Digital Agency" winners Blue Fountain Media can do everything a brand needs done online, and they have proved it by producing digital materials for some of the biggest names in business. This NYC firm has worked for the New York Yankees, P&G and the NFL. That is a hard list at which to sneeze! What does a digital agency do? Digitally, a shorter list might be what they don't do! 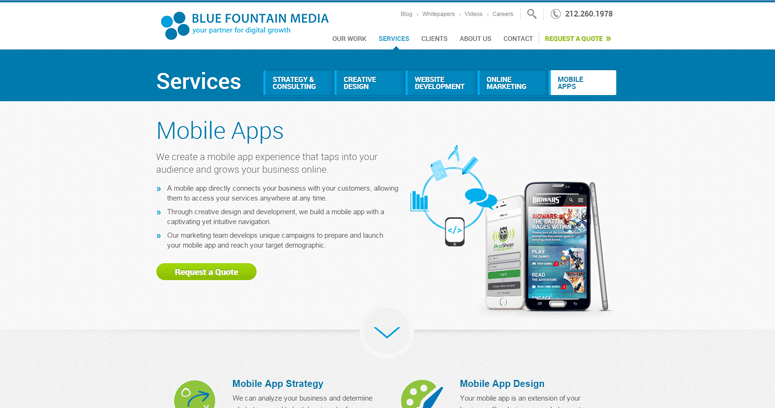 Any firm that needs apps or online ads or social media marketing or practically anything in between can count on Blue Fountain Media to deliver it professionally and exquisitely. 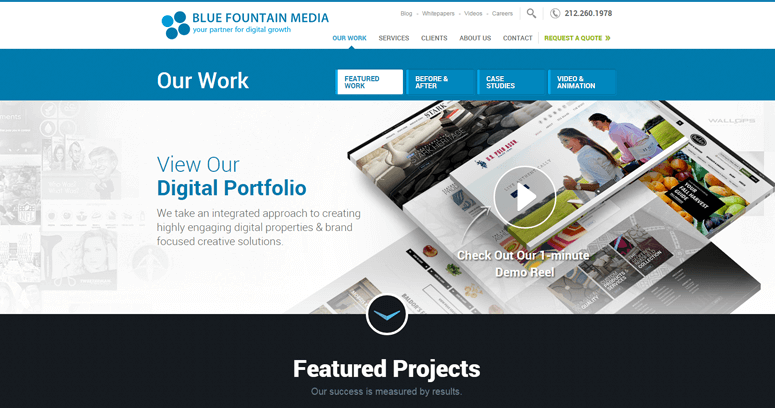 If you work for a business that needs digital content or anything related to the Web that you would outsource to an agency, you can get yourself noticed by your superiors by selecting Blue Fountain Media for your next important digital piece.